Item # 311512 Stash Points: 3,995 (?) This is the number of points you get in The Zumiez Stash for purchasing this item. Stash points are redeemable for exclusive rewards only available to Zumiez Stash members. To redeem your points check out the rewards catalog on thestash.zumiez.com. 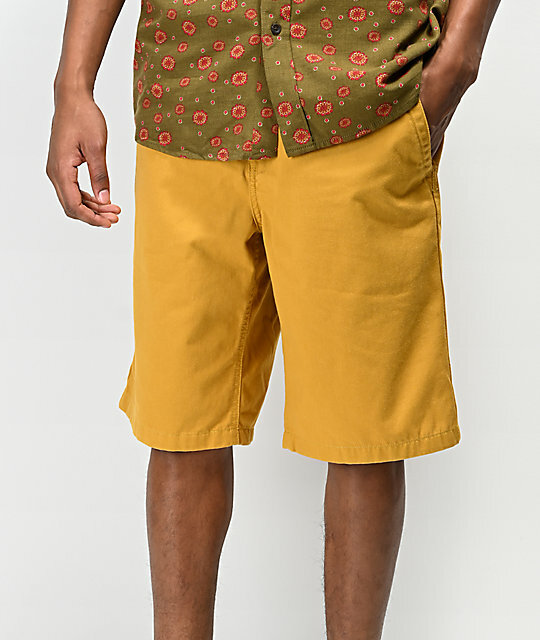 Add the season's hottest color to your summer look with the Discord chino shorts from Free World. 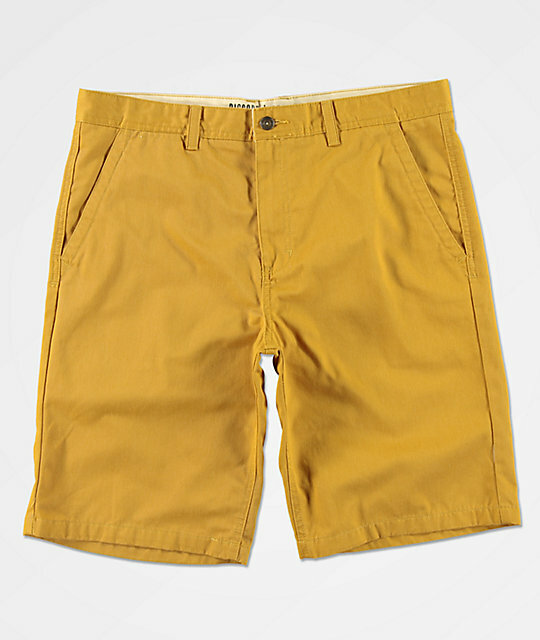 These dark yellow shorts feature welt back pockets paired with side slash pockets for a perfectly casual chino look. 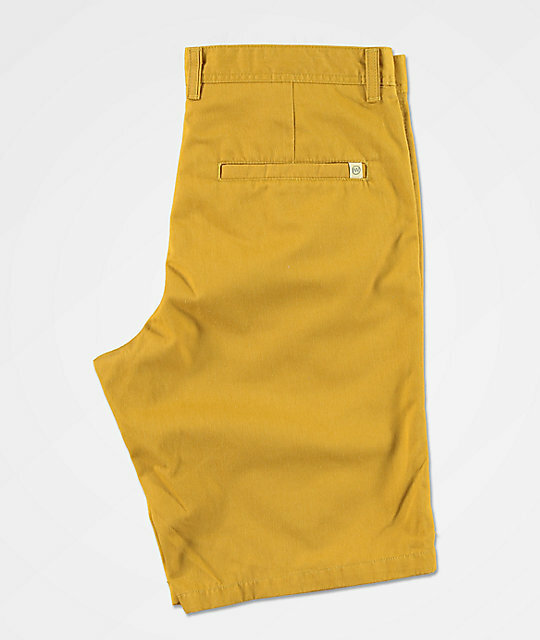 Basic yet colorful, a must-have for the season. 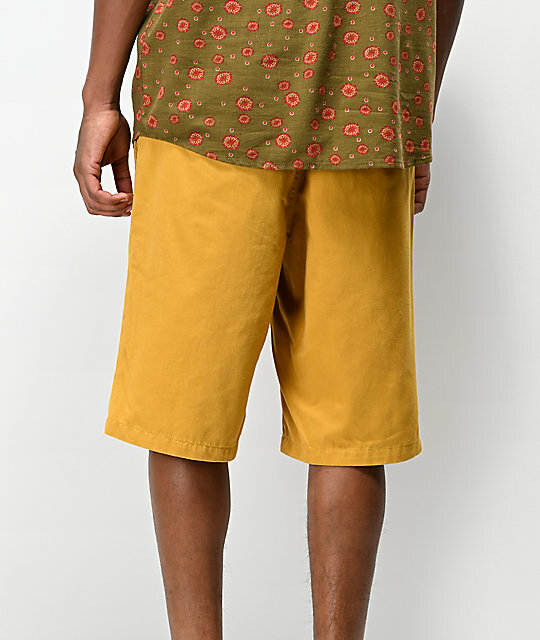 Discord Dark Yellow Chino Shorts from Free World.